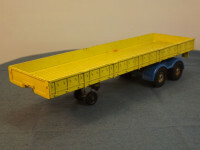 This model is the Corgi 1164-A-2 Berliet Dolphinarium Trailer in Yellow and Blue. This model features only the trailer unit with front dolly wheels and fifth wheel connection mechanism. It is a dual wheeled, twin axle articulated trailer, normally attached to a Berliet tractor unit and transporting the Dolphinarium pool and figures which are all missing from this item. The only operating parts are the folding dolly wheels. All wheels are of the speed wheel type, single cast black plastic units incorporating a chromed commercial style hub on steel axles. 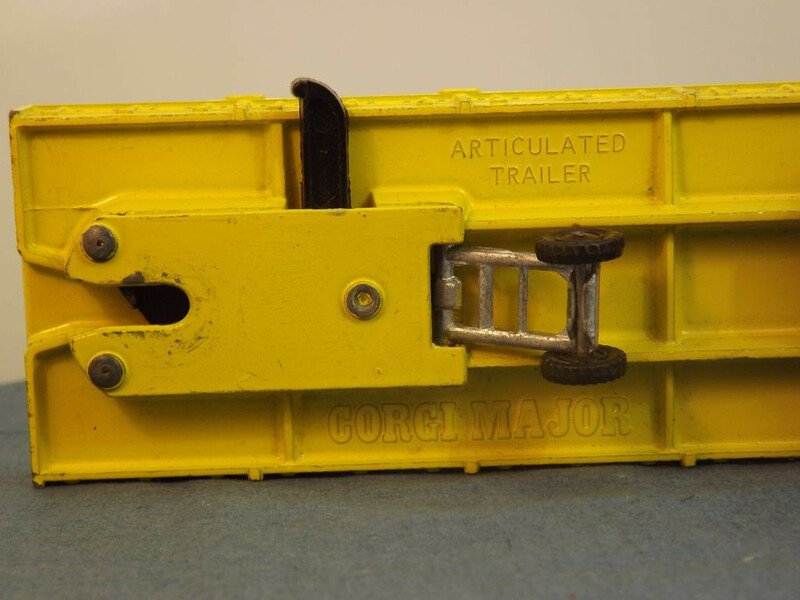 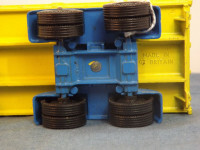 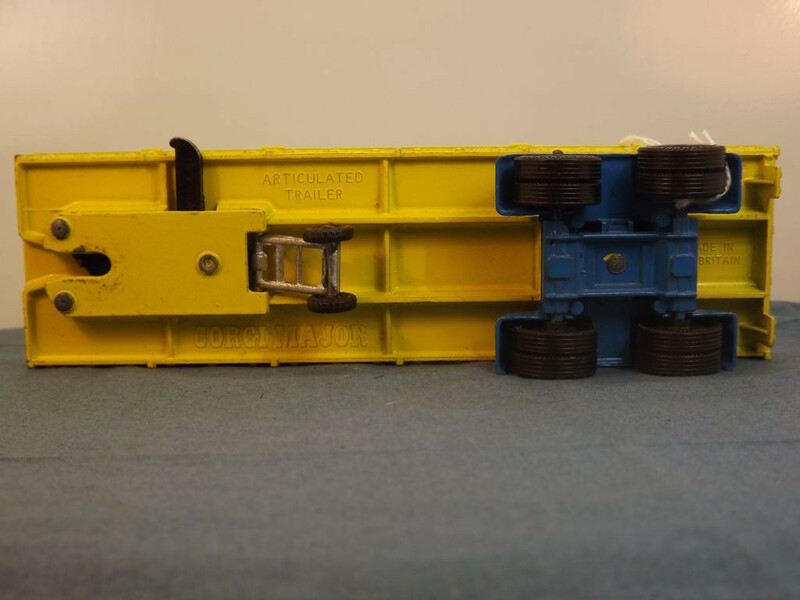 The base plate is actually the trailer casting and is marked with "Articulated Trailer" at the top front, Corgi Major at the bottom front, and "Made in GT Britain" to the centre rear. 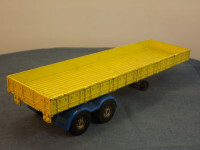 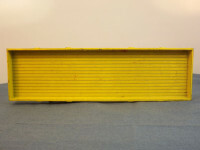 This model was issued in April 1980 and its scale was stated to be 1:50.